I cannot fall back on past success and consider myself actively working for the Kingdom. Adonai commands that I actively show proof of my trust through action. Abba grant that I be that strong worker. Yeshua had just healed a man with tzara’at and in his new physical body the man started rejoicing. Yeshua gently reminded him that he still had service to Adonai yet to perform for the healing as taught in God’s Word, Torah. Many times I have been the diseased man, rejoicing at being delivered from a dark painful time but being so overjoyed that I forget who my deliverer is and partied myself right into another dark time, all the while missing an opportunity to praise and worship Adonai for all to see. Dear Lord let me see always Your hand in my life. Let me pursue You as a deer pants after water. Never let me forget who provides everything for me. I ask this in Yeshua’s name, amen. “Beware of the false prophets! They come to you wearing sheep’s clothing, but underneath they are hungry wolves! You will recognize them by their fruit. Can people pick grapes from thorn bushes, or figs from thistles? Likewise, every healthy tree produces good fruit, but a poor tree produces bad fruit. A healthy tree cannot bear bad fruit, or a poor tree good fruit. Any tree that does not produce good fruit is cut down and thrown in the fire! So you will recognize them by their fruit. It is by our fruit that we are known, either as the sons and daughters of ADONAI or as people who just show up for a couple of hours once a week, a month or a year and go back to a worldly selfish lifestyle. Treating others as stepping stones to their next level of self-centered accomplishment. Instead as believers we must show our love for each other and to God through the service and humility of obedience to ADONAI and service to our fellow man. Lord help me to stay on the narrow path to serve You faithfully. I ask this in Yeshua’s name, amen. “So don’t be anxious, asking, ‘What will we eat?,’ ‘What will we drink?’ or ‘How will we be clothed?’ For it is the pagans who set their hearts on all these things. Your heavenly Father knows you need them all. But seek first his Kingdom and his righteousness, and all these things will be given to you as well. Don’t worry about tomorrow—tomorrow will worry about itself! Today has enough tsuris already! My needs have always been met when I have held on to my trust in ADONAI. It is when I failed to trust in Him and tried to do things in my own power that I wind up failing to meet the needs I have in the day. As believers when we seek His kingdom above all things then our needs are met, our needs not our wants and we can move on to the challenges of the next day refreshed and ready to serve God. Lord let me always keep my focus on You so that the troubles of the day cannot overwhelm me and separate me from You in my own weakness. Let me seek Your heart in all things. I ask this in Yeshua’s name, amen. So if you are offering your gift at the Temple altar and you remember there that your brother has something against you, leave your gift where it is by the altar, and go, make peace with your brother. Then come back and offer your gift. It is the condition of our heart that determines the worthiness of our gifts to ADONAI. 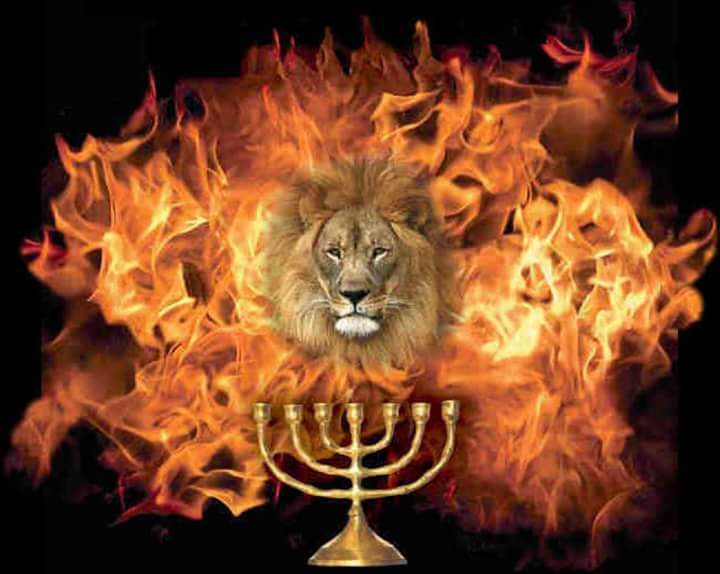 It there is anything in us to keep us from God we must first resolve that before we can participate fully in the offering and have supernatural blessings from ADONAI. Yeshua says over and over again in his parables there will be people who he tells “depart from me, I never knew you,” in part because they just went through the actions of giving an offering for show and got their reward right there, an audience for their little show, but those who give like the woman with the two small coins, giving their all with an open heart they will reap the rewards of an true offering to ADONAI. Lord as we enter this season of remembering Your salvation for us let me give everything I have with a whole and happy heart to You. I ask this in Yeshua’s name, amen. in the morning I will sing aloud of your grace. a refuge when I am in trouble. David knew he would be delivered and able to sing praises to God in the morning. He knew who he was in God’s eyes and understood what was spoken over him when Sh’mu’el anointed him. So by trusting the truth in God’s Word he could sing praises while servants of Sha’ul laid in wait to kill him. Lord let me have the trust of David to sing to You when I feel my world is falling apart. And let that trust be a witness to everyone who would ask whom am I praising at such a dark time. I ask this in Yeshua’s name, amen. If you have really turned from your sins to God, produce fruit that will prove it! While this was Yochanan’s challenge to the P’rushim and Tz’dukim who were only going the act of immersion so others could see them “being holy” it applies to us today. Do people know who we serve by our actions or is it only by our words. True salvation is only revealed through actions and it is the fruit of those actions that will bring others to the knowledge of salvation that Yeshua provided through His sacrifice. Lord let me be as Ya’akov wrote in his letter and show my faith through actions, so all will know who You are. I ask this in Yeshua’s name, amen. Sh’mu’el felt tangible grief for the failings of Sha’ul. So much so that it was affecting his position as prophet to the people of Isra’el. ADONAI had to shake him out of his depression and get him to move in a new direction that God was leading him to, in this case anointing David. Many times I have felt this same paralyzing grief, doing what I believe God would have me do only to have it all come crashing down for some reason beyond my control. My first problem was thinking I had any control in those situations to begin with and the second was not seeing how God was using them to shape and test my character. It is how we as believers act in these times that shows the world what we truly believe in. Sh’mu’el despite his grief for Sha’ul, continued serving ADONAI and was able to anoint David into his authority as King. Sha’ul in his own selfish sin was given over to an evil spirit that opened the door for the shepherd David to come in and learn the ways of the court. God’s will will be fulfilled if not by the first called then by the second or third and our grief need only be fleeting as we see His will emerge more victorious in our lives. Lord do not let me dwell in the past but always look to Your future with anticipation. I ask this in Yeshua’s name, amen. Examine yourselves to see whether you are living the life of trust. Test yourselves. Don’t you realize that Yeshua the Messiah is in you? —unless you fail to pass the test. Daily examination of our trust in ADONAI is a way to verify that we as believers as serving God and not ourselves. This isn’t Sha’ul telling the Corinthians to test God but an inward reflection to make sure that we are keeping to God’s Word in our lives. There can be no failure in this examination when we are in unison with Yeshua only areas to improve as revealed to us through the Ruach. The only way to fail is to deny God in our lives. Lord continue to show to me ways that I can grow to serve You more. I ask this in Yeshua’s name, amen. I am afraid that when I come again, my God may humiliate me in your presence, and that I will be grieved over many of those who sinned in the past and have not repented of the impurity, fornication and debauchery that they have engaged in. Like Sha’ul my heart breaks daily for the millions who knowingly choose to live in sin. My heart breaks even more when I make these same bad choices rather that stand apart from the crowd. Lord more than ever I need to be kept in the palm of Your hand. I ask this in Yeshua’s name, amen. Why won’t I ever accept your support? Is it that I don’t love you? God knows I do! No, I do it—and will go on doing it—in order to cut the ground from under those who want an excuse to boast that they work the same way we do. The fact is that such men are pseudo-emissaries: they tell lies about their work and masquerade as emissaries of the Messiah. There is nothing surprising in that, for the Adversary himself masquerades as an angel of light; so it’s no great thing if his workers masquerade as servants of righteousness. They will meet the end their deeds deserve. As believers we must be cautious in who we support. Sha’ul was addressing the abundance of false teachers who sought only to profit from their proselytization, not caring what ADONAI wanted or what would happen to those poor people who turned from God to follow them. The difference between Sha’ul and them is that Sha’ul was looking to win souls for ADONAI while they were looking to line their pockets. We must test the words of any who say they come in the name of the Lord and see that it reconciles to the Word given to us through Moshe and the prophets just the like the good people of Berea did. Lord let me seek those who truly seek Your leadership in our lives. I ask this in Yeshua’s name, amen.